A movement workshop by Block Universe artist Florence Peake in collaboration with Chisenhale Dance Space. 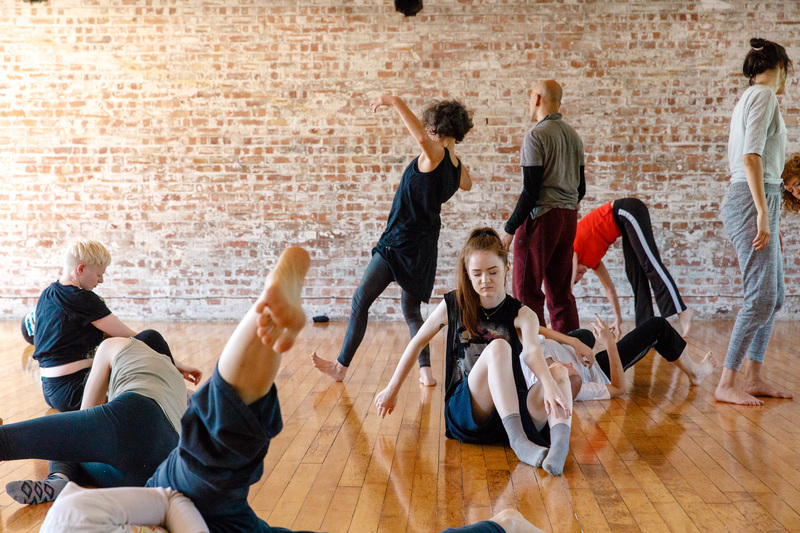 Drawing on somatic dance practices including contact improvisation, Skinner Releasing Technique and Florence Peake’s own art and dance background this creative movement workshop relates to sensitivity, connectedness and integration. In an ever changing political landscape, this half-day workshop fosters a sensorial and democratic environment by revealing and releasing conscious and subconscious desires. Incorporating writing, drawing, voice and movement. This workshop is open to all, no prior movement experience required. Florence Peake is a London-based artist who has been making work since 1995. With an extensive training in dance and a background in painting, Florence Peake’s performance practice uses drawing, painting and sculpture materials combined with found and fabricated objects placed in relationship to the moving body. Site and audience, live and recorded text, wit and humour are key to her work. A selection of recent exhibitions includes Walled Gardens in an Insane Eden, Sara Zanin Gallery, Rome (2017), The Keeners, SPACE, London, Voicings, Serpentine Gallery Offsite Project, London (2016), Voicings, Block Universe, London, Lay me down, NoTT Dance Festival, Nottingham, UK, Modern Art Oxford, Oxford, UK (2015), Swell the Thickening Surface of, Hayward Gallery, London (2014), MAKE, BALTIC, Gateshead, UK, Swell the Thickening Surface of, Tintype, London (2013), Yorkshire Sculpture Park, Yorkshire, UK, REMAKE, Baltic 39, Gateshead, UK, Lanchester Gallery, Coventry, UK (2012), Chorus; Paper Portraits, National Portrait Gallery, London (2010).